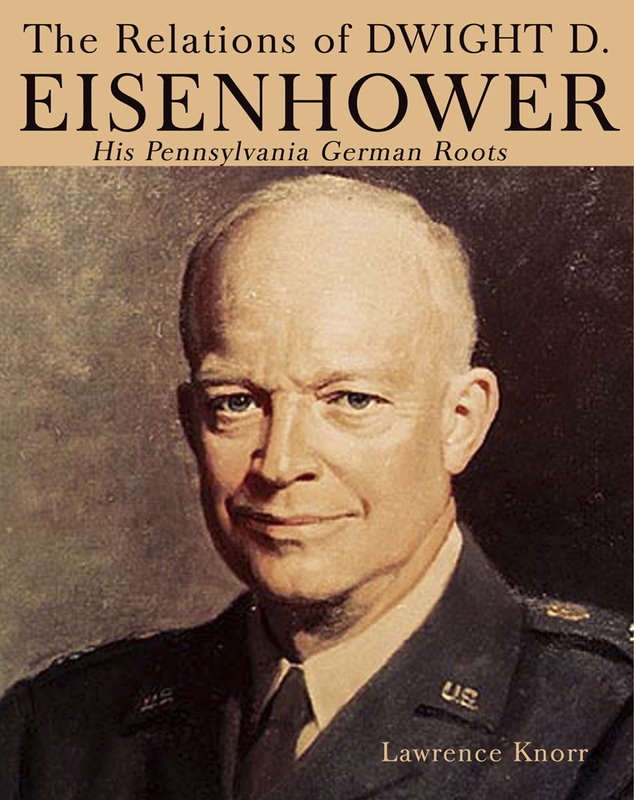 MECHANICSBURG, Pa. — Sunbury Press has released The Relations of Dwight D. Eisenhower: His Pennsylvania German Roots, by Lawrence Knorr. Over 3500 relatives are detailed. Dwight D. Eisenhower had many direct ancestors who lived in the Susquehanna Valley area of Pennsylvania and eastward. This volume tracks the former president’s lineage back to Germany and England and focuses on those descendants from the lines who lived in Pennsylvania. Over 3500 relations are detailed, including the Matters, Rombergers, Eisenhauers, Boones, Millers and many more. Lawrence Knorr is an amateur genealogist with deep roots in the Pennsylvania Dutch Region. Lawrence has had a 33-year career in information technology. He is also the co-owner of Sunbury Press, Inc., the owner of 2nd Floor Gallery, Inc., and an adjunct professor of Economics and Finance at Wilson College. Lawrence holds a Bachelor’s degree in Business/Economics (History Minor) from Wilson College and a Masters of Business Administration from Penn State. He is also a Certified Computer Professional, Project Management Professional, and Certified Scrum Master. Lawrence lives with his wife Tammi and has two daughters a stepson and a stepdaughter. Seventy-One Years of Marriage: The Ancestors and Descendents of George and Alice Knorr of Reading, PA (2003), Self-Published.